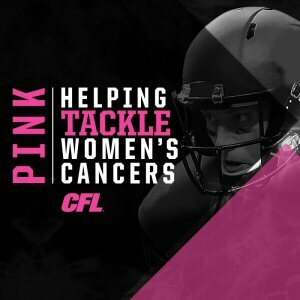 For the fifth consecutive year, the CFL and all nine teams are launching a league-wide campaign to raise awareness and funds to tackle women's cancers. The CFL and our member teams are committed to making a positive difference in our communities across the country. "This is a very important issue for many involved in the Canadian Football League," said CFL Commissioner, Jeffrey L. Orridge. "Across the nation we can work together with our dedicated fans, along with our teams, local communities and committed partners like Reebok to help raise awareness and funds for a cause that touches us all. We can all put forth our best efforts to help end cancer among women." Eight teams will play host to a special CFL Pink home game during a three-week period beginning October 9th and concluding on October 24th. During those games, players, coaches, team sideline staff and officials will dress in CFL Pink-branded apparel and accessories. CFL players will be provided with gear from Reebok that includes specially made products for CFL Pink including gloves, wrist bands and skull caps. A decal will also be placed on players' helmets for the games in October. "Reebok is a proud teammate of the CFL in raising awareness and funds to tackle women's cancers," said Michelle Lea, Vice-President of Brand, Reebok. "We are delighted by what the CFL, its teams and players along with the Reebok brand have been able to contribute towards the cause throughout the past five years. Together we look forward to a healthier future." Coaches and other team personnel will wear CFL Pink-branded sideline gear, and CFL officials will take part by using pink whistles. Specialty CFL Pink merchandise at CFL Pink games will be available for fans at team stadiums and select retail outlets with a portion of the proceeds going to cancer charities. Specialty Reebok Pink apparel is also available on-line by visiting CFL.ca/Pink or LCF.ca/Rose. For every Reebok apparel item and accessories sold, $2/unit as well as all associated royalties will be donated to the Canadian Breast Cancer Foundation. TSN and CFL.ca will also feature stories on players who have been affected by women's cancers and their touching stories. 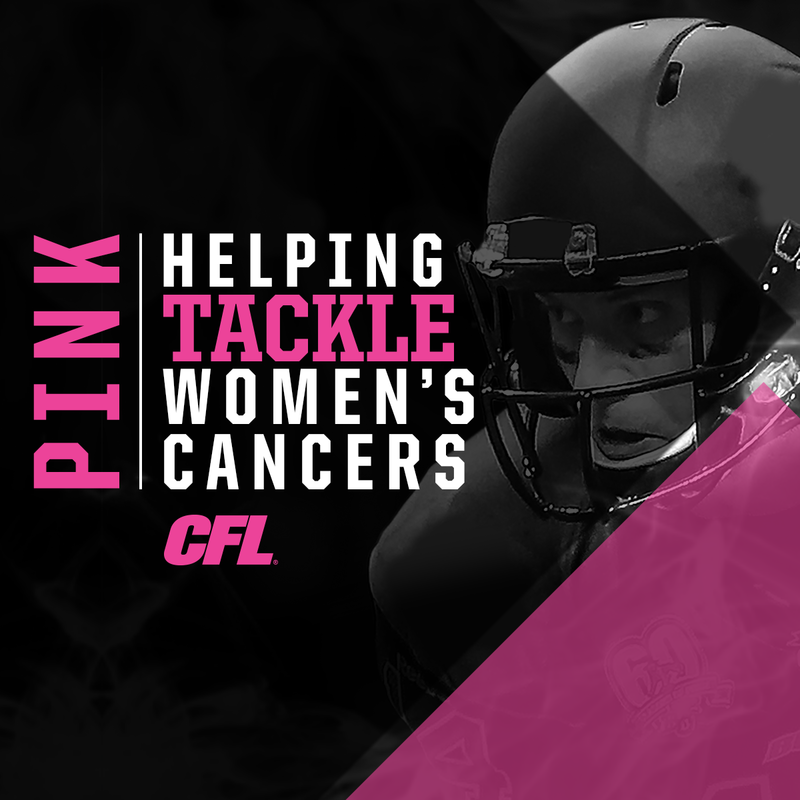 During the month of October, fans can visit CFL.ca/Pink to learn more about our teams' initiatives to tackle women's cancers and support in helping to develop a cure. The CFL encourages fans to learn more about women's cancers and stresses the importance of vigilance and early screening in detecting cancer. Supporting those who are fighting the disease and living with cancer, as well as their families, brings us all together across Canada and is a vital part of building strong communities and aiding the push for a cure.